Ventry (Ceann Trá or Fionn Trá in Irish) is a small village four miles west of Dingle. 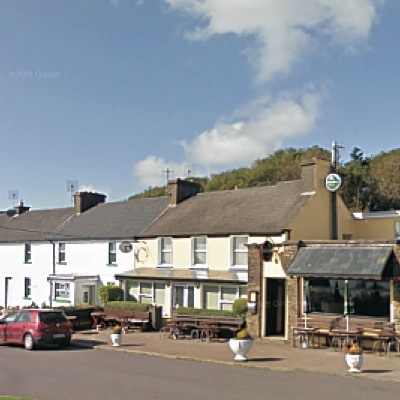 It is unusual in that it has two centres of commerce, both comprised of a pub and a shop. One has the Catholic church, and the other, in true balance, has the primary school. 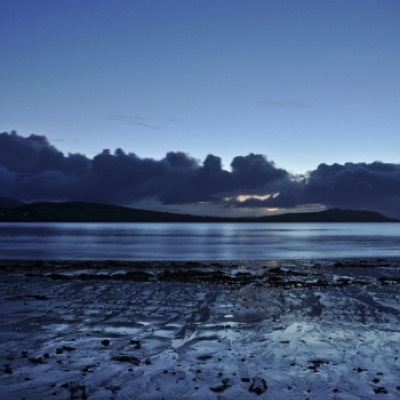 The whole Ventry area is linked by the arc of Ventry Harbour, with one of the most attractive and safest beaches on the west coast of Ireland. 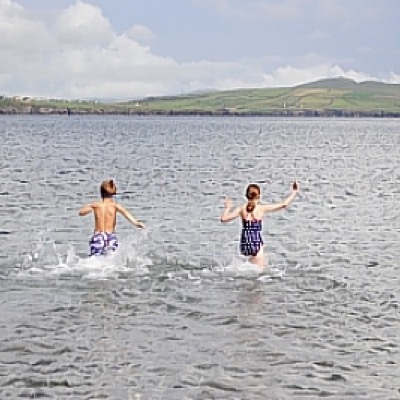 Ventry is a great place to enjoy a seaside, rural holiday . . . or to just escape the bustle of Dingle town. 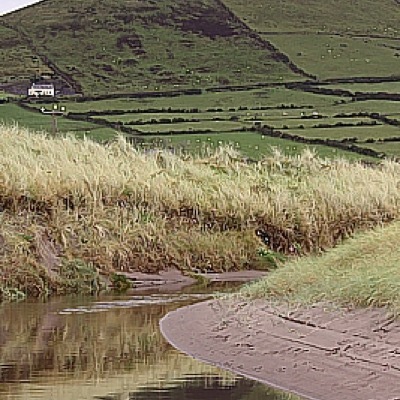 The beach and harbour were chosen as the site of "Cáth Finntrágha" a supposed battle between Fionn Mac Cumhaill and Dáire Donn "The King of the World". 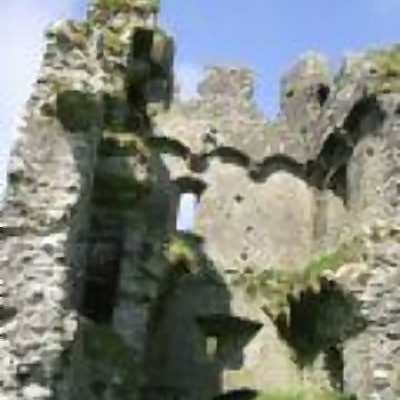 Written in the 15th Century, but probably incorporating earlier material, this Irish language prose poem mentions numerous local landmarks. Following on out of the village, continuing along the 'Slea Head Drive', you will come to the local Roman Catholic church on your left hand side, in an area known as Ard a' Bhóthair (which translates as 'the height of the road'). 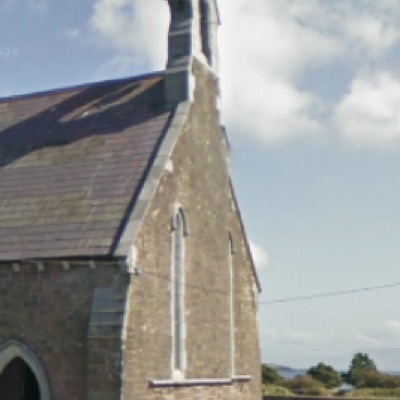 This later 19th century church is dedicated to St Caitlín (Catherine of Alexandria). The reason for the adoption of this Middle Eastern martyr as patron of a West Kerry parish is unknown. 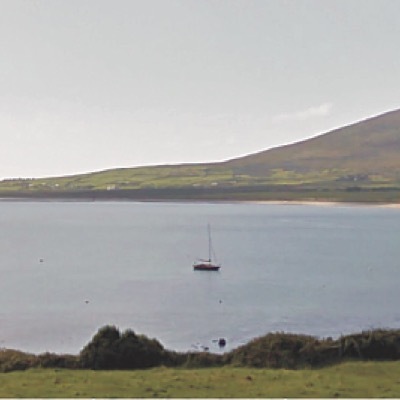 However a colourful (and completely untrue) legend was devised at some stage claiming that her body was washed up on Ventry Strand in a wooden box or barrel. The story goes on to claim that for some reason it took seven men to left the relics from the beach and she was buried in the village graveyard.